Tea ball tong - Smaller size. Perfect for 1 cup or mug of tea. 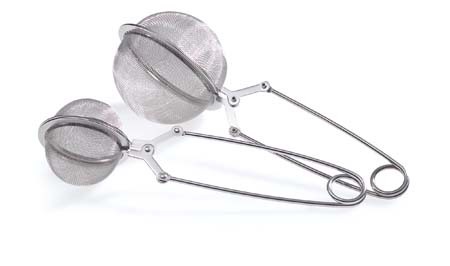 Mesh tea ball tong for loose tea. diam. approx. 4.5cm/ 1.77" (this is the smaller one in the picture"